Information Systems Issues in the real world. Description: Android Pay is essentially a digital payments system that consumers can use to buy things online or in stores from retailers and others who also use the service. 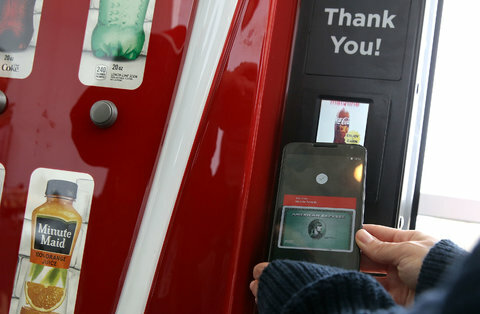 To use Android Pay, smartphone users with up-to-date versions of the Android operating system will be able to load Visa, MasterCard, American Express or Discover cards onto their phones. From there, they will be able to wave the phone over the terminals in more than 700,000 stores around the United States to pay for items. Android Pay will also work inside mobile apps from participating developers. Google will use a technology called tokenization to provide merchants with a customer’s payment information without having to hand over their actual credit card number. 1. Will this new payment system succeed “ANDROID PAY” Why or Why Not? 2. What is the business model of both Android Pay, Google Wallet or Apple Pay? Is it sustainable? This entry was posted in android, Apple Pay, Business Model, Currency, E-commerce, Mobile Commerce and tagged American Express, android, Apple, Apple Pay, google on October 14, 2015 by nevis63. 2. What is the business model of both android pay or or Apple Pay? Is it sustainable? This entry was posted in apple, Apple Pay, Currency, Google, Mobile Commerce and tagged American Express, android, Android operating system, Apple Pay, google on June 2, 2015 by nevis63.